To supplement my income, I travel and perform as a storyteller. To distinguish myself from the other storytellers, I bill myself as a “children’s humorist.” I was inspired to come up with this term when I heard Garrison Keillor refer to himself as the “world’s tallest radio humorist.” I specialize in making kids and their families laugh via storytelling, musical activities, and wordplay. In fact, I guarantee they will laugh. Over the years, I have provoked laughter from Seattle to Birmingham, from Phoenix to Montreal. Everywhere … except at home. I’m taking a wild stab at this upcoming piece of insight, but I’m guessing I practiced my routine out loud on the home front one too many times. Over the years, the sounds heard inside my house turned from giggles to groans. I was partly inspired by my own Uncle Guy, who cracked a lot of jokes at family holiday gatherings. His face would light up and he would laugh loudly at his witty remarks and not seem to notice the eyeball rolling and groaning from the rest of us. I have some personal routines I frequently use that I’m sure my kids think of as “Dad Jokes.” Feel free to disagree with them. 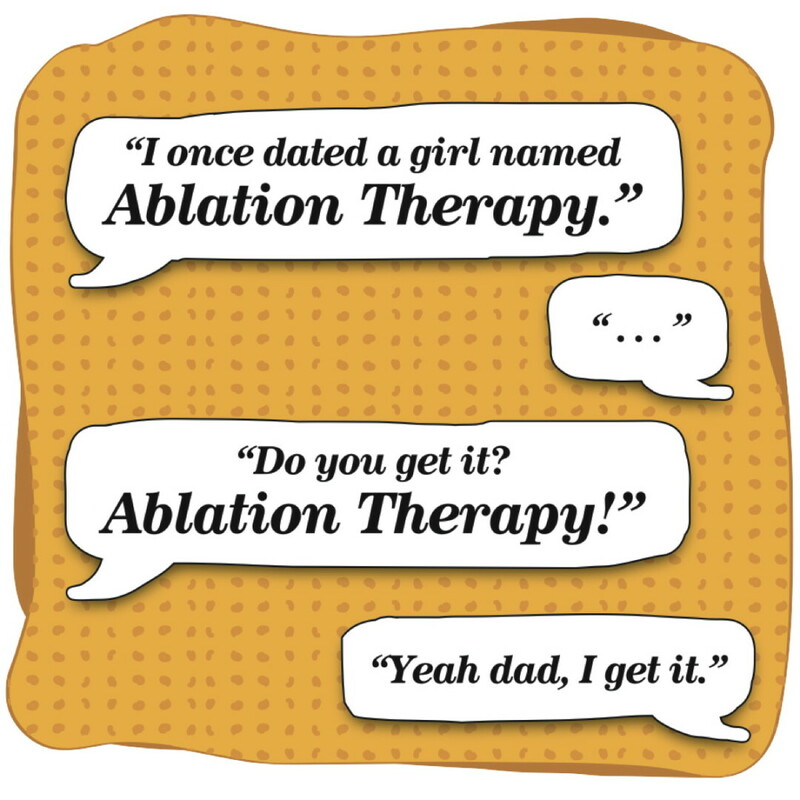 For example, when I hear an odd word or phrase, like “ablation therapy,” I will say, “I once dated a girl named Ablation Therapy.” I don’t remember when I started this “shtick,” but I’ve been doing it for years. Sometimes I say “I once dated a girl named Tungsten Carbide” or “I once dated a girl named Ambient Light.” You get the picture. No double entendres. I’m just making funny noises. Another corny routine is to read the Culver’s sign as if the menu items were one food dish, like “Banana Cream Tuna Salad.” Or “Chocolate Volcano Walleye.” You probably do it, too. The nice thing about entertaining other people’s kids is that the turnover rate is high. I get to use my old material over and over again each year on fresh ears. Families of the Chippewa Valley – who they are and what they think.